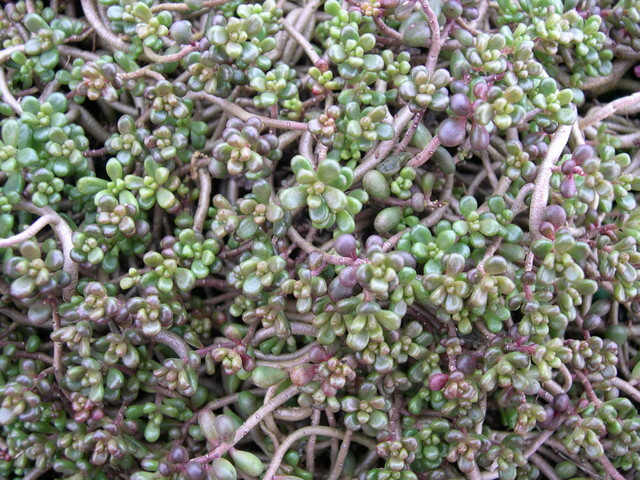 Tortuous stems carying numerous small brown-red leaves throughout the growing season. Most of the leaves will fall off in the winter leaving the crooked stems bare. Small pink flowers in clusters above foliage.